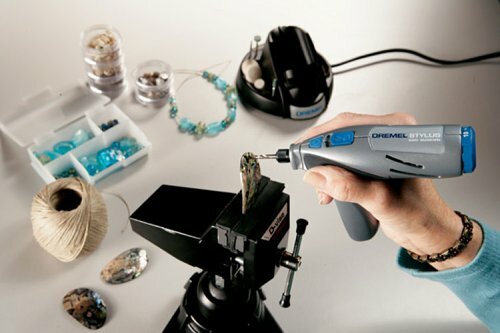 The Dremel Stylus™ is a unique tool for people who are passionate about hands-on projects. 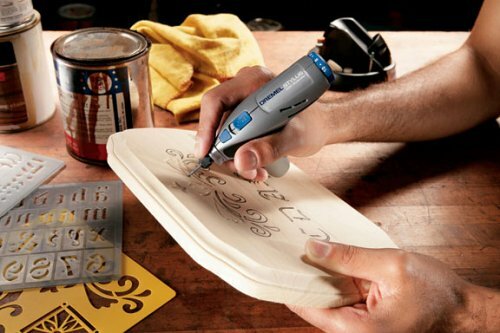 This ergonomic tool is perfect for applications around the home such as finishing, intricate sanding, polishing, cleaning, engraving and much more. This is a great addition to any tool set. 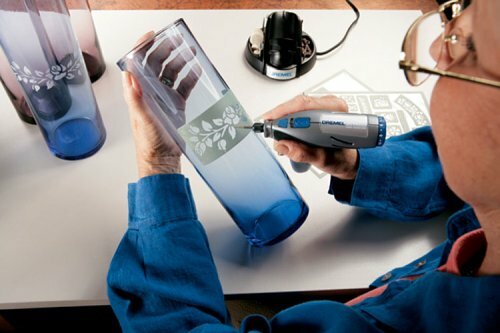 It fits comfortably in your hands and can be used for very fine detail work or work where precision is a must. My first task when I got it was to grind and cut out some epoxy putty on a wall right next to some trim (don't ask). I was concerned that my older corded dremel would make this task nearly impossible with its shape and the cord tugging at the tool at just the wrong moments. With this tool I felt completely in control the entire time I used it. It had more than enough power to both grind (using a drum sander and a grinder) and cut using one of the new EZ Lock wheels (wide diameter, finally). I was able to get complete control over the tool and never had to fight it to get exactly the result I wanted. 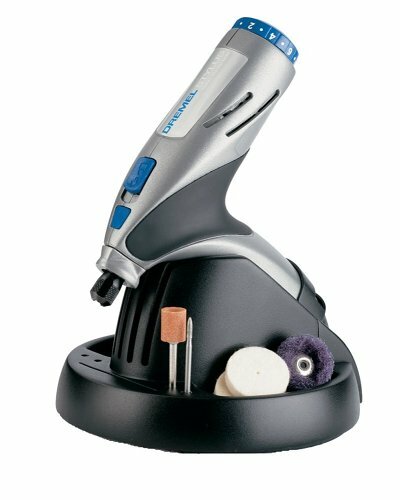 This is a great evolution to the Dremel design and I would highly recommend it for light to medium use. Heavy cutting I would still leave to the corded units due to their higher RPM and torque. 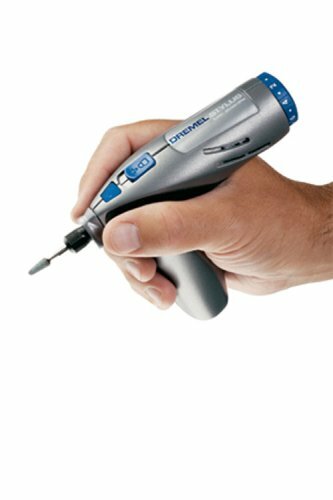 Also, buy the Dremel Chuck. It will save you tons of time unscrewing and switching collets. Overall the stylus is a great tool where fine control and precision are required. And it looks like a phaser from classic Star Trek. How can you go wrong? i just purchased the dremel stylus and CANNOT get the collet to open to put in the accessories. nor can i remove it. it says to move the switch into the locked position and then turn it counter-clockwise. i cannot get the collet to turn AT ALL in either direction when it's in the locked position. can anyone please help? am i doing something wrong? did anyone else have the same problem? "All-Purpose Accessory Kit." This product, made in Mexico, should be declared an illegal immigrant and kicked back over the border. I build model cars for a hobby, and have always had some type of Dremel tool on hand, but until the Stylus came along, none were just right for me. They were either too big and powerful for the detail work I do, or the battery would not hold a charge long enough. And few would slow down to a speed suitable for plastics. 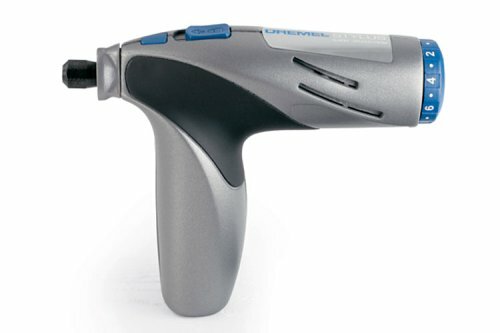 The Stylus, with its long-life battery and variable speeds, is perfect for plastic modeling. The shape is easier to hold, also, and allows more fine control. The handy charging stand is also great, and it automatically shuts off when the battery is fully charged, something I wish my electric razor would do. The unit is quieter than others I have used, and it has a precision feel to it that gives me confidence when working with close tolerances. I've been modeling for 50 years, and finally there is a tool that meets my needs. It was worth the wait. This product is everything I hoped it would be. I purchased it for jewelry making, specifically for drilling holes in natural shell. 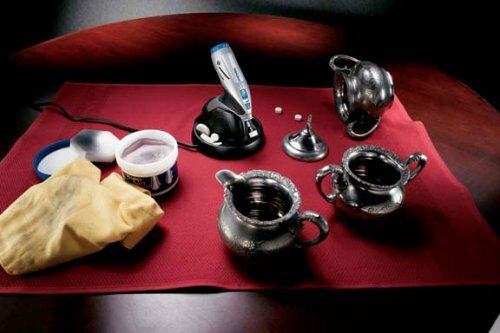 It works great, making small, precise holes without shattering or splitting the delicate shells. First time I used it, I worked for literally HOURS before the appliance became hot and eventually turned itself off briefly. However, by then vitually all of my work was finished! I have small hands, yet this appliance was easy to use and manuever. I read other reviews before buying, some good, some not so -- but I would highly recommend this product and confidently stand by my recommendation. I just bought one of these. So far, I've only used the etching and cutting head, but overall I'm pleased with it. * POWER: The run time and torque are impressive ... using the cutting wheel on max speed, I'm able to saw through just over 2 dozen #10 steel screws, at about 10 sec apiece (and plenty of showering sparks), before the battery runs down. For a cordless stylus, that's all out torture, but it gets it done - although it does get pretty warm under that kind of abuse. * COMFORT: This unit fits nicely in the hand, and is ambidexterous. * CHARGE SENSOR: Under extremely heavy use (see above), the stylus gets warm. When placed into the charger while still warm, the charger appears to get confused and think the unit has just been charged - and refuses to charge it further. Clearly, its smart charging technology is not very smart. Anyway, one way around that is to pop the stylus in the freezer for 10 mins (to speed-cool), and THEN put it in the charger. It works. * DEFAULT ACCESSORIES: The default kit is stingy on attachments - and some of the attachments it does comes with can't be used out of the box unless you buy additional parts. That's annoying (hence the 4 stars instead of 5). * CHARGE TIME: Only the heaviest users will notice, but this unit's charger needs 3 hours to fully charge the stylus. My new Li-Ion Makita drill charges in only 15 mins, so 3 hrs for something far smaller seems rather pokey. I also wish this thing had a detacheable battery pack, so that you could swap packs while the other re-charges - and not have to toss out the whole unit when the built-in battery finally dies. Recommended, despite a few quirks. I got this at a deep discount as a part of a set with the 1120 screwdriver. The price was great. The tool works very well for fine work. Jewelry, PC boards, small delicate wood work, polishing and cleanup. 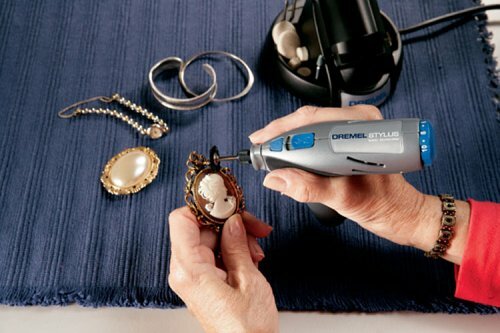 It is not a replacement for the larger heaver Dremel tools as general purpose device. The good and bad news is that it comes with a lot of tools many of which are not terribly useful--I don't know many folks who do jewelry or metal work and wood work both, so over 1/2 the tools are wasted. Also tools storage for the supplied tools is grossly inadequate to the point of being a pain. I own this tool and bought one for my Dad, too. It is small, easy to hold, and has an incredible battery life. 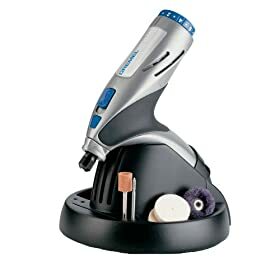 As hard as I might look, I can not find a single negative about this new version of the Dremel. I have been so pleased with this little stylus that I'm about ready to give away my corded Dremel tool. I have very little use for it any more. The lithium battery holds an extremely long charge and the tool is strong enough to accomplish nearly any task in one charge. It's still a great product. I like it well enough that I gave a similar unit to my brother and his wife last Christmas and last I heard, they were equally thrilled with it.